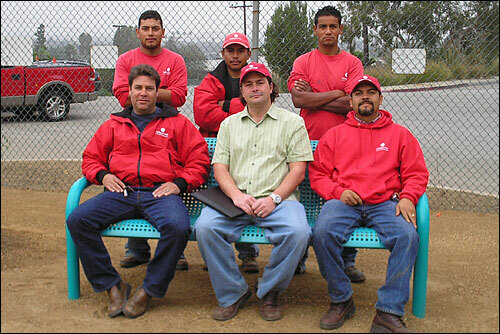 The Friends of the Culver City Dog Park has raised more than $100,000 to help design, develop and build the park. Your contributions, large or small, will help us continue our plans for this park. 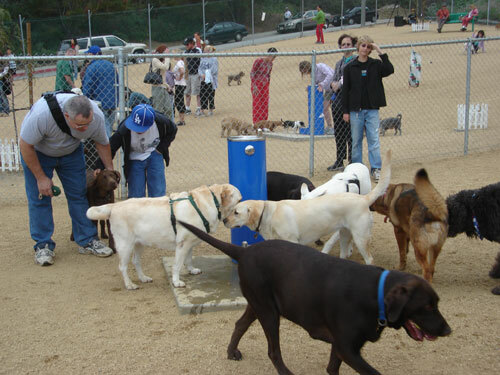 The Boneyard is located in the middle of a large park, and is an ideal setting for Culver City's off leash dog park. It is a little over 1 acre in size, with both a small and a large dog park area, benches, trees, temporary shade and weather structures, water fountains and utilizes decomposed granite as ground cover. The park is located on Duquesne Avenue (about 3/4 mile east of Overland) , south of Jefferson Blvd. in Culver City Park. 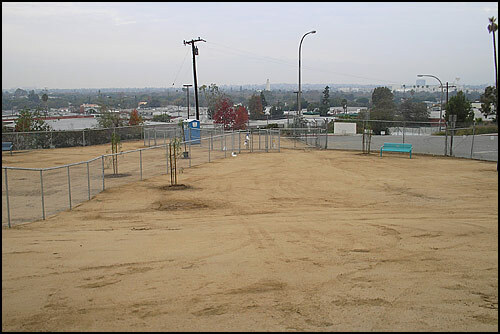 Partial view of park as of December 18, 2005. Thanks to Craig Sperber, Jim Hellinger and their crew at ValleyCrest for all of their hard work to make this dog park possible. 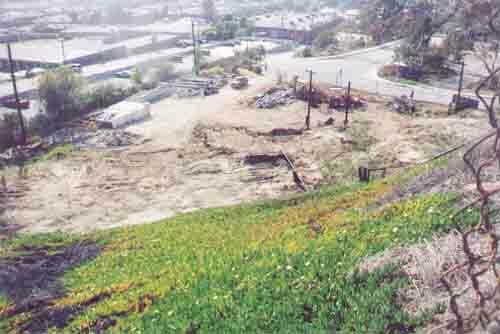 Partial view of proposed site April, 2002.